The Indiana police department cautioned against calling for homework help. An Indiana police dispatcher had to take a little trip down memory lane recently when she got a 911 call that took her by surprise. When Antonia Bundy of Lafayette answered the call, she heard a child's voice, asking her for some desperately needed help with fractions. Boy: Hi, um, I had a really bad day and ... I just, I don't know. Bundy: You had a bad day at school? Bundy: What happened at school that made you have a bad day? Boy: I just have tons of homework. Bundy: OK. What subject do you have homework in? Boy: Math. And it's so hard. Bundy told ABC News she did not know the identity of the child or where he lived. She also said that it was her first time getting a call from a child needing homework help. But, like a veteran in the classroom, she calmed the child's jitters and began walking him through the problem. 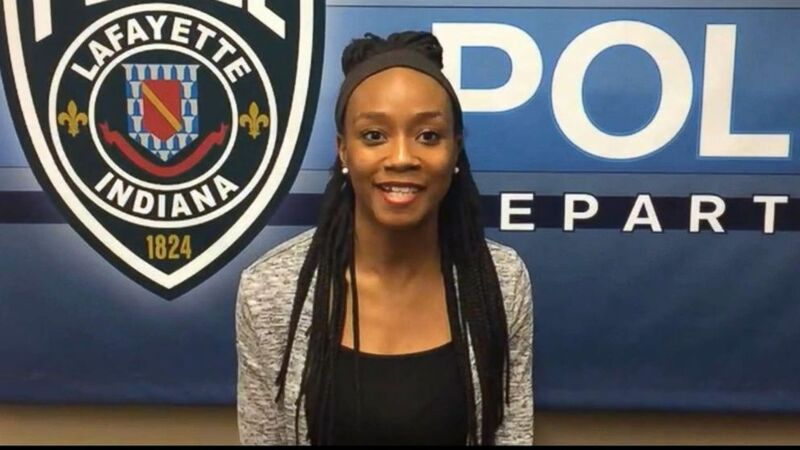 (ABC News) Lafayette Police dispatcher Antonia Bundy of Lafayette, Ind., talks to ABC News, Jan. 26, 2019. Bundy: Is there a problem you want me to help you with? Boy: Yeah, um, what's 3/4 + 1/4? Bundy: So, do you have your paperwork in front of you? Bundy: OK. So if you do 3 over 4. Put that on your paper. Bundy: And then do plus 1 over 4. Bundy: OK, so, what's 3 plus 1? Bundy: OK and then ... 4 over 4 is what? Bundy: You're welcome. Was that you're only problem? Boy: Yeah. I'm sorry for calling you, but I really needed help. Bundy: You're fine. We're always here to help. "I tried to help as best as I could," she told ABC News on Tuesday. "I could tell at the beginning of the call, that he was a little stressed about his day. ... I think by the end of the call, just me taking that time to help him, really improved his day." Bundy's police department lauded her on Friday for stepping up to help the boy but cautioned that it did not recommend calling 911 for homework help. Bundy said she never hesitated to help the child on the other end of the phone. "Him just needing help with that math problem was his emergency at that time," she said. "I always loved math in school so the fact that he called in, and I was able to assist him in a problem that I had myself when I was in fifth grade, just took me back down memory lane."